Hi, friends! 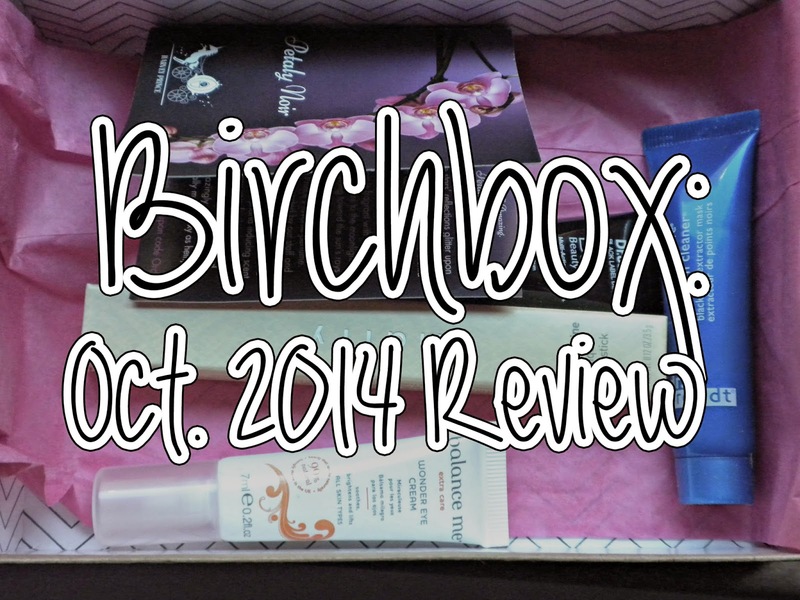 My Birchbox arrived a few days ago, which means it's time for my monthly unboxing! I'm really happy with my box this month, so I can't wait to share it with you. Birchbox? What's that? - Birchbox is a monthly beauty and lifestyle subscription service. It sends 4-5 deluxe samples that are curated to your beauty profile. It is $10 a month, and has a wonderful rewards program, in which you can earn points for reviewing products and making purchases in the Birchbox Shop. You can then redeem those points for full-sized products! It's probably the best rewards program out there, in my opinion, which was one of the big draws in me signing up. If you're interested in subscribing to Birchbox, I would love it if you used my referral link. Thank you! It came in its usual brown cardboard box. I swear that the boxes have gotten slightly smaller in the last few months--where they used to be easy to open, now you really have to open it at an exactly 180 degree angle or else the top won't come off. Birchbox, why you do this? This month's theme is "Fanfare." As usual, the theme really has nothing to do with the products, but this month it came with a little card that says, "Doing my nails and watching ______ for the millionth time." I've started rewatching Grey's Anatomy since I'm doing a scene from it in my Directing class and remembered how much I enjoyed it. I never finished the series my first time watching, not because it's not an amazing show (it is) but because I don't have the time commitment or attention span to watch ten seasons of anything. Maybe the second time around will work out better. But fun fact: I don't watch anything while I'm doing my nails, since I'm a generally sloppy person, so I actually need to concentrate on what I'm doing--if I'm painting my nails red and not paying attention, it may just look like they're hemorrhaging. Also as usual, it came with a lovely information card that tells you all about the products! Basically, it's a gift to beauty bloggers everywhere. And everyone, really, because who doesn't love a neat and organized information card? Maybe it's the stage manager in me that gets really amped up over organization, but I just dig it. I actually received this exact sample in a recent Birchbox order, so now I have two unopened tubes of it! I really like their hand cream (see my post), but until Birchbox I didn't know they made an eye cream. I use up eye cream slower than it would take someone to walk across the United States so I don't think I'll get to this for a long time. But at least I know I'll never run out! I've heard about Dr. Brandt products through the grapevine, but I've never gotten an opportunity to try them, so this will be fun! Since I just got my box a few days ago, I haven't gotten a chance to try this, but I'm excited to. It's always a constant battle for me to get blackheads out of my nose, so I'm up for trying anything. Maybe if this doesn't work, I'll try an actual vacuum cleaner (PSA: I'm kidding). So many doctors in one Birchbox! I'm actually a super huge fan of Dr. Jart+ BB Creams (the Premium is my holy grail), so I'm excited to try this. I think this has a little more yellow in it than the Premium BB Cream, so I might even wind up liking this more than the Premium, depending on how it goes. I'm really warm-toned for someone so pale, so finding foundation matches is always fun. This is supposed to be for those with blemishes, uneven skintone, and irritated skin, so I'm the perfect candidate. Woohoo! Okay, real talk: we receive way too much Harvey Prince in Birchboxes. It's not like I get one every month, but I have gotten (one, two, three) four of his products in the 12 months I've been subscribed. I cancelled Ipsy because I was getting too much brand repetition, and although this isn't nearly as bad, I subscribed to Birchbox to discover new brands. It's like alright, I get it. But maybe that's just me. I use up fragrance really slowly, and actually prefer body splashes to full-on perfume, so since sometimes they can give me a headache. This does smell nice, though. According to the info card, it has notes of jasmine, orchid, lily of the valley, and vanilla, and I can get on board with that. It smells like sweetness and flowers, so this will be nice. When I saw that these were on of our sample choice options this month, I was like "Yes, Mally!" I've heard so many good things about her products, and she's always on QVC (my mother is addicted, so it's on a lot in our house). This will be my very first Mally product, and it's full-size! Hot damn! I'm really impressed with it so far. It's a beautiful pink color that offers great pigmentation and a little bit of shine, making it look amazing and also somehow natural. This will be a great product to add to my daily makeup routine, since it'll pair well with a five-minute face. You could even wear it with a dark smokey eye, since it won't draw too much attention. It's not sticky, but it's still the slightest bit tacky so it won't rub off your lip if you just barely touch them to a glass. Mally, you are perfect, never change. Also, can I have one of these in every color? Thanks. The Best: I'm actually really excited about a lot of the items in my box, but I think I'll have to say the Mally. Full-size of a product I love? Hello! The Worst: The world just really doesn't need any more Harvey Prince perfumes. Maybe Mr. Prince should take a break. Go on a vacation or something. The Verdict: I paid $10. My box is worth over $50. That in itself is a miracle. I think it might actually be the highest box value out of all of my Birchboxes. When people ask "Should I join Birchbox?" I think I'll just send them this post to read. I'm like a walking advertisement for them at this point. I love it, I love it, I love it. I can't believe all of the great products I got! 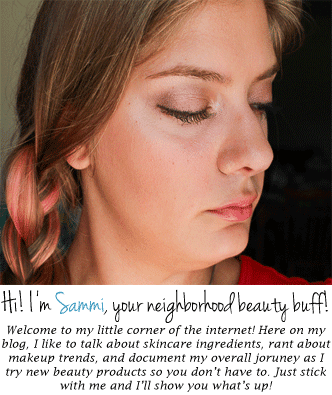 Can't get enough sassy Birchbox reviews? Click here to view my past unboxings! Interested in signing up for Birchbox? Do so with this link for extra points! Disclaimer: I paid for this Birchbox myself. Not affiliated or sponsored by any mentioned brands. I included my Birchbox referral link, but I mean who wouldn't? Basically "Independent Woman Part I" is about me.